Of course, it is possible for pastors to wear their academic strikes humbly, and for unlettered people to take a perverse pride in their lack of credentials. As a general rule, I think stripes and titles tend to feed pride and hinder humility, especially when unduly emphasized. My current congregation is blessed to have many men and women with doctorates and amazing accomplishments. Yeah, we are even more blessed to have people from all walks of life and educational levels. When we gather to worship, we are brothers and sisters in Christ, period. No distinctions are made at all. The joy and the fellowship of being together as equals all saved by the same grace is tangible. That is the sort of thing a conscious focus on humility can do in the church. For we have one Father who is in heaven, and one teacher, our Lord Jesus. I am blessed to lead a congregation where one has to work to find out whether someone has a doctorate or not. In some cases, it was years before a brother or sister told me, and in every case I remember, it was only because I asked them. That is the kind of humility that bind the congregation together in Christian love. Are pastors not to be as Paul, preaching not with lofty words of wisdom, but rather to know nothing but Christ and him crucified? 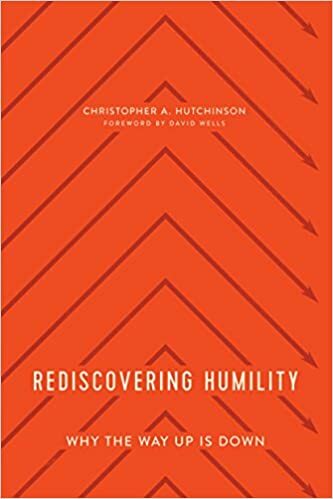 Christopher Hutchinson, Rediscovering Humility, p.152. Pride is a sin that is bred in the bone of all of us, and we have therefore each of us need to be cautioned and armed against it.—Not to think of himself more highly than he ought to think. We must take heed of having too great an opinion of ourselves, or putting too high a valuation upon our own judgments, abilities, persons, performances. We must not be self-conceited, nor esteem too much our own wisdom and other attainments, not think ourselves to be something, Gal. 6:3. There is a high thought of ourselves which we may and must have to think ourselves too good to be the slaves of sin and drudges to this world. But, on the other hand, we should think soberly, that is, we must have a low and modest opinion of ourselves and our own abilities, our gifts and graces, according to what we have received from God, and not otherwise. We must not be confident and hot in matters of doubtful disputation; not stretch ourselves beyond our line; not judge and censure those that differ from us; not desire to make a fair show in the flesh. These and the like are the fruits of a sober opinion of ourselves. The words will bear yet another sense agreeable enough. Of himself is not in the original; therefore it may be read, That no man be wise above what he ought to be wise, but be wise unto sobriety. We must not exercise ourselves in things too high for us (Ps. 131:1, 2), not intrude into those things which we have not seen (Col. 2:18), those secret things which belong not to us (Deu. 29:29), not covet to be wise above what is written. There is a knowledge that puffs up, which reaches after forbidden fruit. We must take heed of this, and labour after that knowledge which tends to sobriety, to the rectifying of the heart and the reforming of the life. Some understand it of the sobriety which keeps us in our own place and station, from intruding into the gifts and offices of others. See an instance of this sober modest care in the exercise of the greatest spiritual gifts, 2 Co. 10:13–15. To this head refers also that exhortation (v. 16), Be not wise in your own conceits. It is good to be wise, but it is bad to think ourselves so; for there is more hope of a fool than of him that is wise in his own eyes. Matthew Henry, Matthew Henry’s Commentary on the Whole Bible: Complete and Unabridged in One Volume (Peabody: Hendrickson, 1994), 2226–2227. Kuhns, O. (1907). 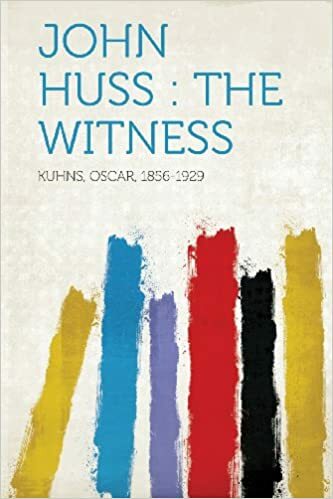 John Huss: The Witness (pp. 41–42). Cincinnati; New York: Jennings and Graham; Eaton and Mains. “For he is full of talk and the spirit is straining to get out (Jb 32:18). He hungers and thirsts for listeners to whom he can make empty boasts, to whom he can pour out all he feels, and whom he can tell what he is and how great he is. He finds an occasion to speak. Let us say the subject is literature. He says new things and old (Mt 13:52). His opinions fly about. His words tumble over one another. He butts in before he is asked. He does not answer other people’s questions. He asks the questions himself and he answers them, and he cuts off anyone who tries to speak. When the bell rings for the end of the discussion, even though it has been a long one, he asks for a little more time. He asks permission to come back to the stories later, not so as to edify anyone, but so that he can show off his knowledge (1 Cor 8:1). He may say something edifying, but that is not his intention. He does not care for you to teach, or to learn from you what he himself does not know, but that others should know how much he knows. If the subject is religion, at once he has dreams and visions to offer. Then he praises fasting, commends vigils, enthuses above all about prayer. He discusses patience, humility, and all the other virtues at great length, but in utter emptiness. Yet if you were to hear him you would say that he “speaks from the fullness of his heart” (Mt 12:34), or “A good man brings forth good things from his good treasure” (Mt 12:35). The quote can be found in the Selected Works of Bernard of Clairvaux, page 133. High-minded self-sufficiency is the canker which gnaws at the root of all religion. It is the futile dream of a little, insignificant world, of which self is the great center, whose mind understands everything, whose will controls everything, whose money can buy everything, and whose power carries everything before it. This makes self a miniature god in a little temple. In this sinful isolation one is, of necessity, icy cold, frozen away from the living God and unfit to dwell under the shadow of his wings. If in all honesty we can say: Such is not my case, because I feel my dependence, my lack of strength and my utter helplessness, then that we might have fellowship with God, we must unlearn our sinful leaning on people. We need not necessarily cut ourselves loose from every one. Far from it. The faith of another strengthens ours. The courage of another shames us out of cowardice. The example set by another can double our strength. We are disposed to society both in matters of life and belief. But we must give up all sinful dependence upon others. Dependence that takes a man for more than an instrument appointed of God for our help, as long as he allows it, is sinful. We must not build on man, in order when human help fails to turn to the Divine. Our help must always be from God, whether power to save springs from ourselves or comes to us from without. Even in this way, that when at length all human help fails, nothing is lost. For the unchangeable God always remains the same. 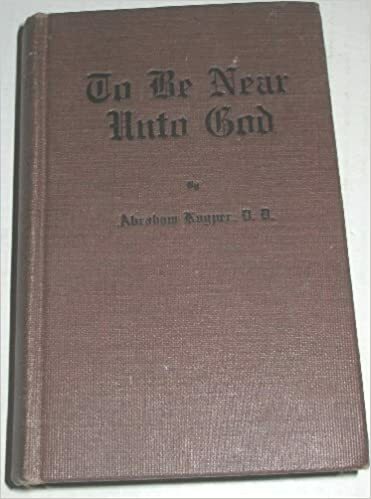 Kuyper, A. (1918). To Be Near unto God (pp. 78–79). Grand Rapids, MI: Eerdmans-Sevensma Co.
[If] you feel and are inclined to think you have made it, flattering yourself with your own little books, teaching, or writing, because you have done it beautifully and preached excellently; if you are highly pleased when someone praises you in the presence of others; if you perhaps look for praise, and would sulk or quit what you are doing if you did not get it– if you are of that stripe, dear friend, then take yourself by the ears, and if you do this in the right way you will find a beautiful pair of big, long, shaggy donkey ears. Then do not spare any expense! Decorate them with golden bells, so that people will be able to hear you wherever you go, point their fingers at you, and say, ‘See, see! There goes that clever beast, who can write such exquisite books and preach so remarkably well.’ That very moment you will be blessed and blessed beyond measure in the kingdom of heaven. Yes, in that heaven where hellfire is ready for the devil and his angels. To sum up: Let us be proud and seek honor in the places where we can. But in this Book the honor is God’s alone, as it is said, ‘God opposes the proud, but gives grace to the humble’ (1 Pet. 5:5); to whom be glory, world without end, Amen. 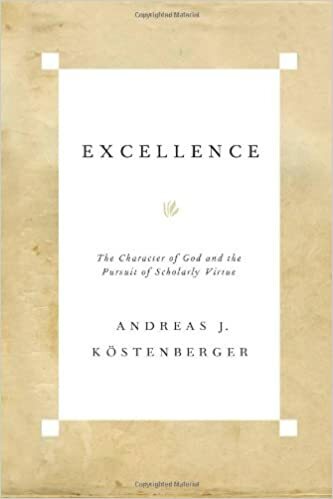 The above quotes came from chapter 15 of Excellence: The Character of God and the Pursuit of Scholarly Virtue by Andreas Kostenberger.